We think self catering holidays are supposed to be thoroughly relaxing. To us, that means not only once you arrive but the planning stages, too. You want to find the most comfortable house to suit you, the best town to stay in, what’s on in the area and how to get around. 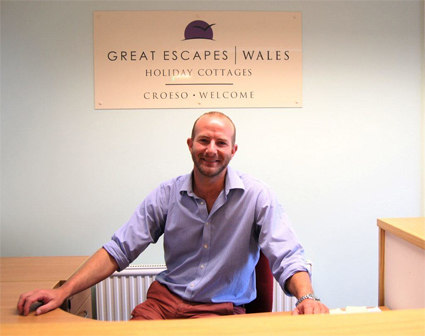 Getting the information you need shouldn’t be stressful, which is why Great Escapes Wales make it easy. We’ve got years of experience delivering self catering North Wales holidays and short breaks with buckets of local knowledge, but most importantly, we’ve got all the time in the world for you. When we say we treat every customer like our only customer, we mean it. We’re here to answer your questions, by phone, email or face-to-face to suit you. We know that finding the ideal self catering North Wales holiday cottage is important, but it’s not the only important thing. We’ll find out the nearest parking to that attraction you’re interested in, how far away the local shop is, what times of year dogs are allowed on the beach. Feather allergies? Mobility problems? Wedding Anniversary? Just leave it to us. When you choose Great Escapes Wales, you can relax knowing that your self catering North Wales holiday is being planned to perfection. All you need to do is let us know what you’re looking for and any special requirements you might have, then we’ll do the hard work for you. When it comes to holidays, we can’t help you get the kids into their coats and out the door on time, or make sure the sat nav you placed ready on the counter the night before finds its way into the glove box the next day. But we can help with just about everything else. If you have any questions, please get in touch. We're here to help!